These graphs are generated and displayed in VOSA as simple PNG files. But some versions of these graphs are also generated in postscript format and as .agr files. 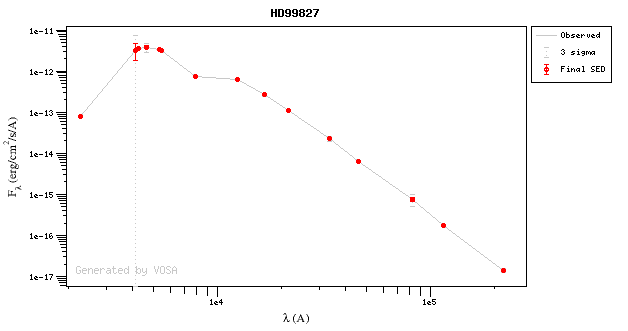 HD99827.sed.png : with the SED plot in PNG format. 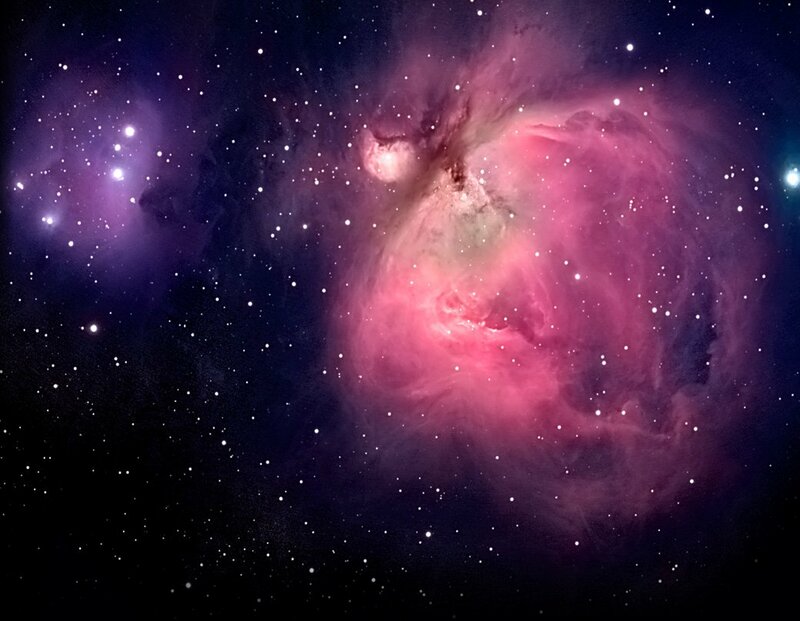 HD99827.sed.eps : with a postscript file directly generated fromthe PNG image. HD99827.sed.agr : an ascii file that can be used by Grace to manipulate the plot. 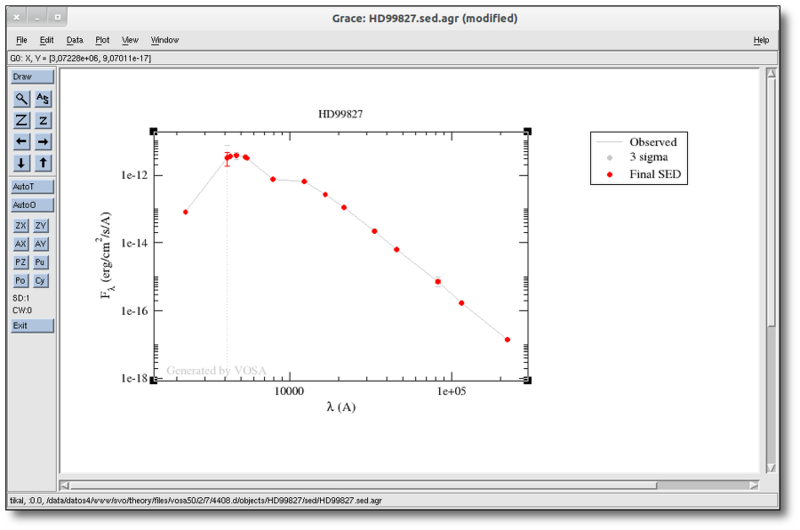 HD99827.sed.agr.eps: a postscript file generated from the Grace plot. This postscript file is usually of better quality. 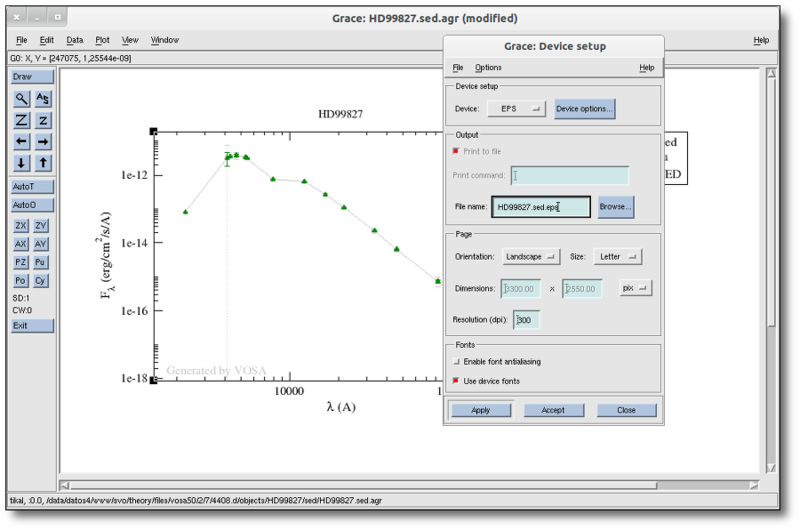 Grace is a free WYSIWYG 2D plotting tool, developed initially for Unix-like operating systems but also ported to OS/2, Windows, etc. It allows to play with graphics, customize lines, colors, axes, etc., and even apply some analysis options to the data sets. 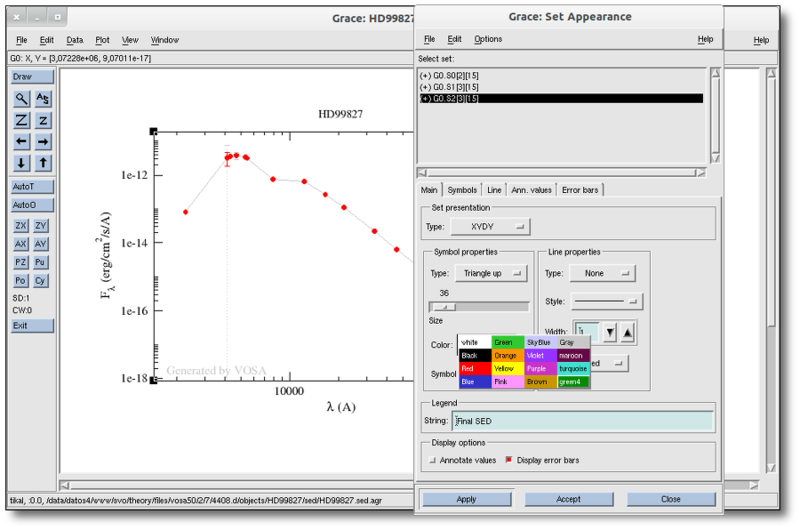 VOSA generates a .agr version of every plot so that you can use Grace to customize the plot if you feel the need to do it, for instance, to include it in a publication. You only need to open some of the .agr files generated by VOSA and you will see a plot very similar to the PNG version. Once you are finished editing the graph, you can use the "File:Print Setup" dialog to specify how you want to save the plot, including PNG, EPS and other formats. Then, use the "File:Print" dialog to generate the final file. Take a look to the Grace online help for details about how to use the many available options.